Energy Forward: Driving Advanced Energy Growth is AEE’s annual gathering of our entire coalition of voices, including both our members and our state and regional partners. The purpose of the meeting is to engage in meaningful discussion that leads to action on key policies driving opportunity in our sector. While the format of sessions changes from year to year, the gathering includes peer-led discussions, conversations with thought leaders, and opportunities to engage with key leaders within the Administration and on Capitol Hill. This year, AEE is proud to announce that we will award our first ever Advanced Energy Leadership Award to Senator Dean Heller for his leadership toward building a secure, clean, and affordable energy future. The purpose of Energy Forward is to engage in conversations and activities that will guide our actions in pursuit of AEE’s mission, which is transforming public policy to enable rapid growth of advanced energy companies. This gathering also provides new members an opportunity to connect with AEE’s initiative leads and our state and regional partners, starting you down the path toward deeper involvement. 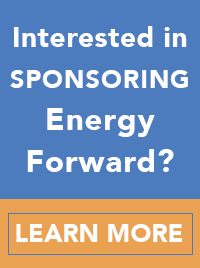 There is no cost to attend Energy Forward, but participation is open exclusively to current AEE members and partners. To learn more about Energy Forward, please contact membership@aee.net.